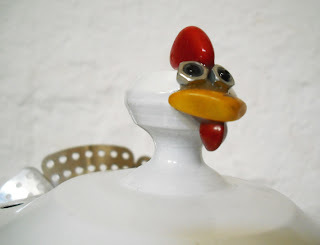 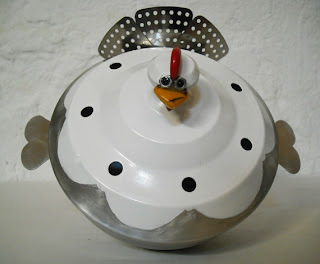 Cluck cluck! Look who just joined in the Trash Family: a lovely chubby chicken called Patty Potty! 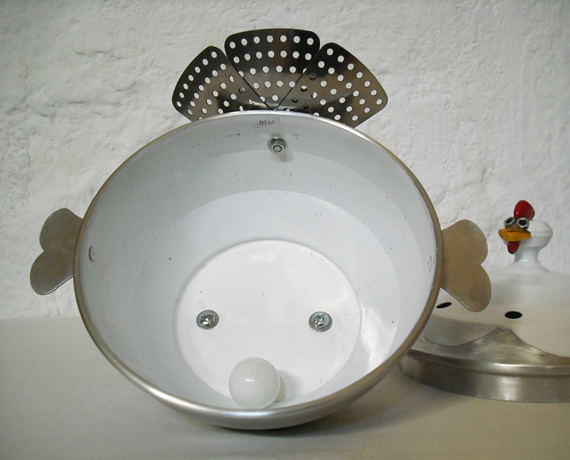 She is made out of an old aluminium pot with nice round Art Deco lines and a pair of 'flappy' handles that certanly look like little wings. 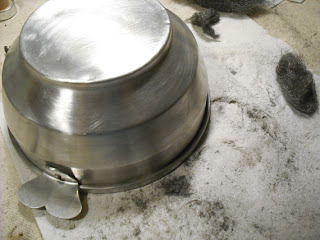 The lid has several holes because it is a garlic keeper: garlic should never be stored in the refrigerator, but in a well-ventilated container, at room temperature! 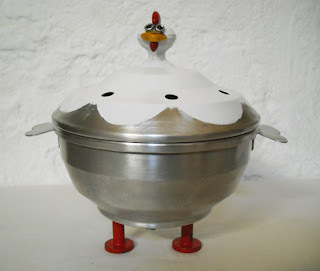 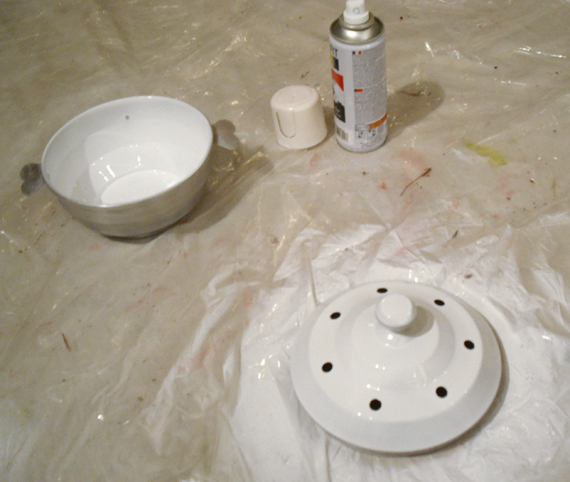 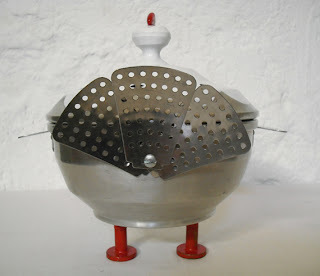 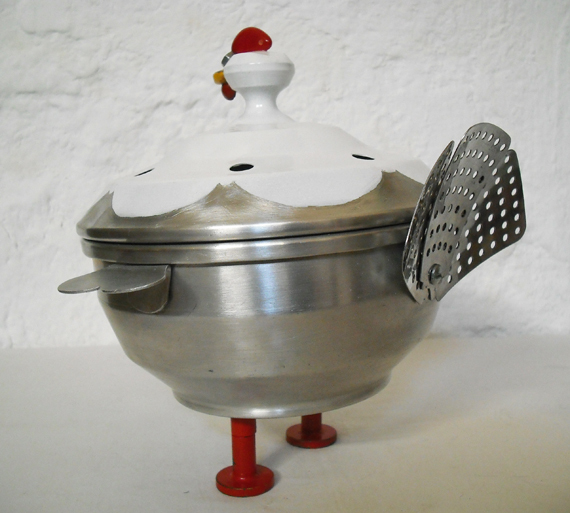 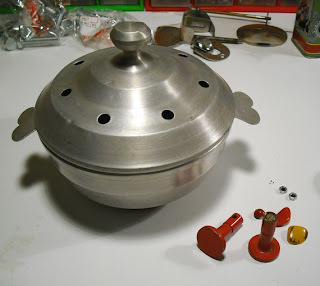 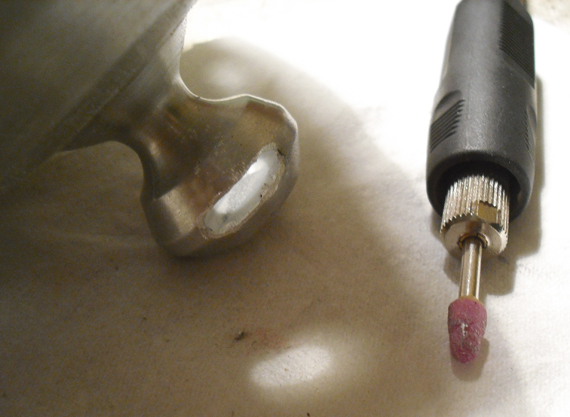 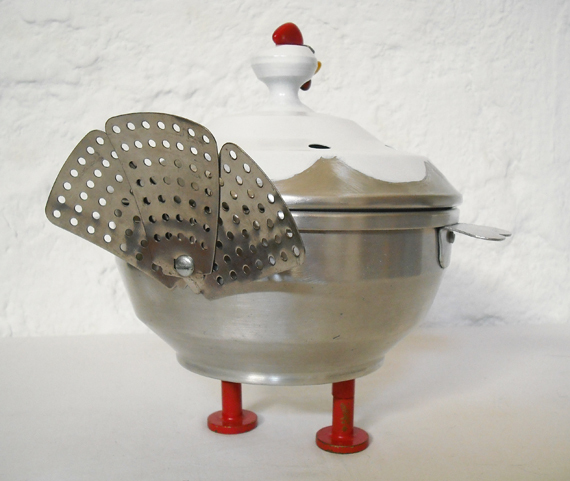 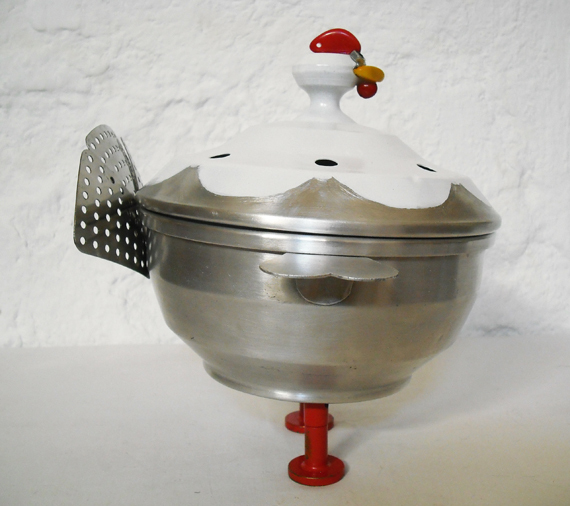 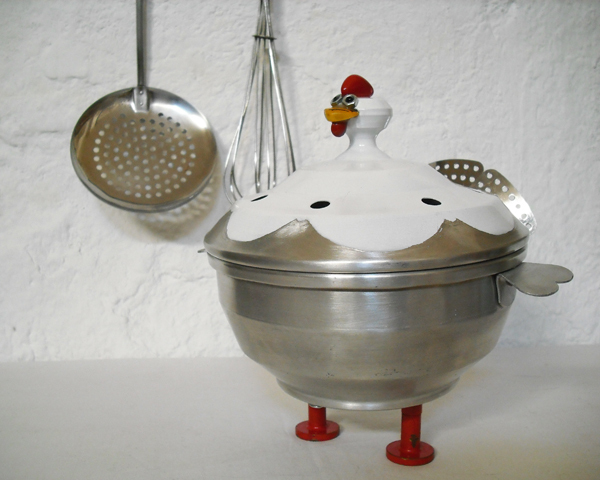 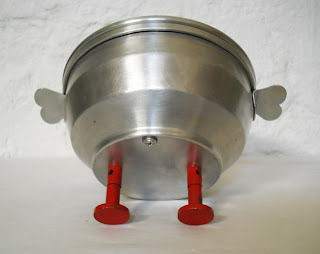 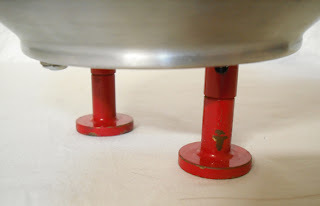 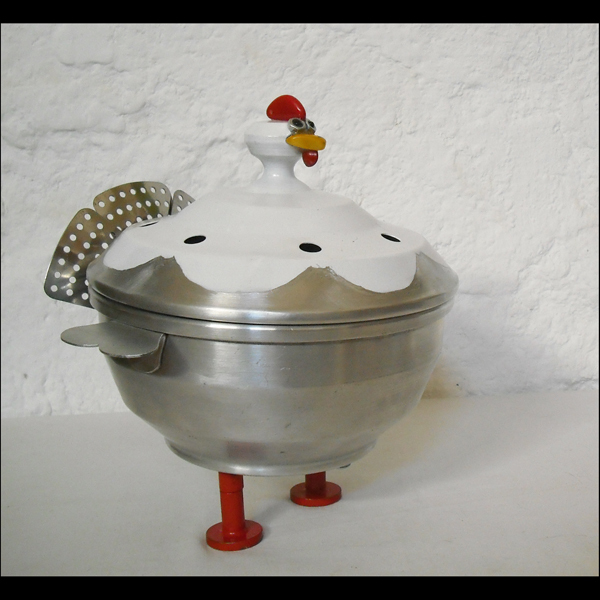 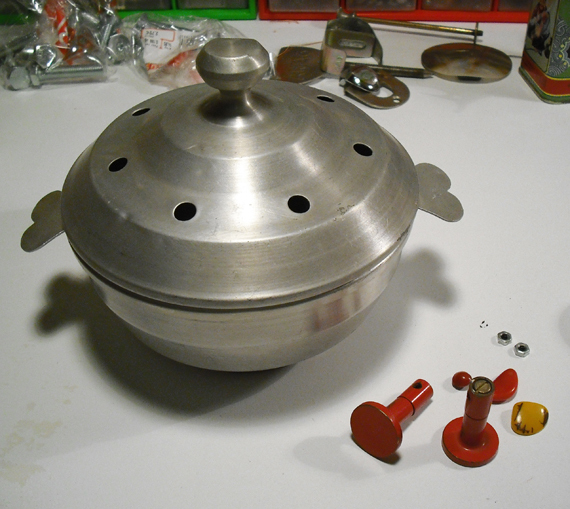 And of course, Patty can still be used for this purpose: I have sprayed the inside and the top part of the lid with white enamel paint, and thoroughly polished the aluminium of the rest. 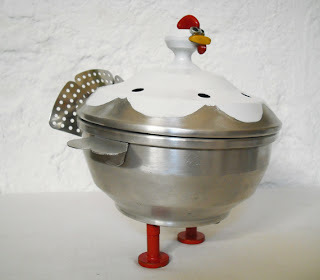 Other parts include three 'wings' of a stainless steel steamer basket, some washers, nuts and screws, tagua beads for the beak and the comb, a tropical red seed for the wattle, a pair of tiny black glass beads por the eyes, a heavy metallic drawer knob fastened inside Patty's belly to help her get a proper balance (Mmm yes, she has a heavy bottom! ), and a pair of vintage copper knobs from the 80s -originally intended as wall hooks- with chipped bright red enamel paint for the legs. 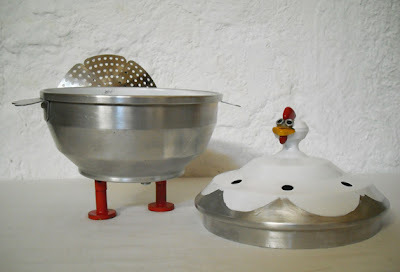 Patty Potty measures 14cm in diameter, and is 16cm high. She would be very useful keeping the garlic fresh in the kitchen, but also anywhere else in the house if she is used as a cheerful box!